This graphic was designed for the NASA Open Government Plan Version 2.0. 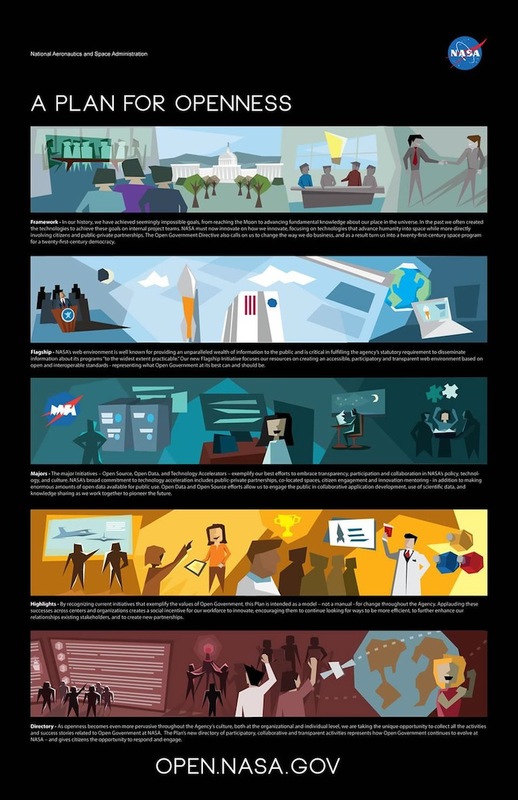 The graphics team I lead at Valador, Inc worked with the NASA Open Government group to create this visual summary. This piece is influenced by Pixar color storyboards and was developed by a team of three people over four days. More info about the infographic is available on the NASA Open Government Blog.